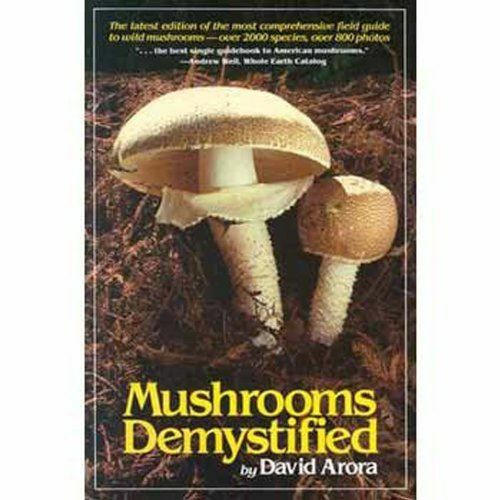 Mushrooms Demystified by David Arora. A Comprehensive Guide to the Fleshy Fungi. This is the top of the line in single volume (mushroom) identification guides … thousands of species, macroscopic keys, splendid illustrations, perceptive and engrossing text… MUSHROOM THE JOURNAL. 1020 pages. Over 700 B&W photos and 250 COLOR photos; 80 pg full color; index; bibliography.